Navigating The Schoolyard - As a Parent! 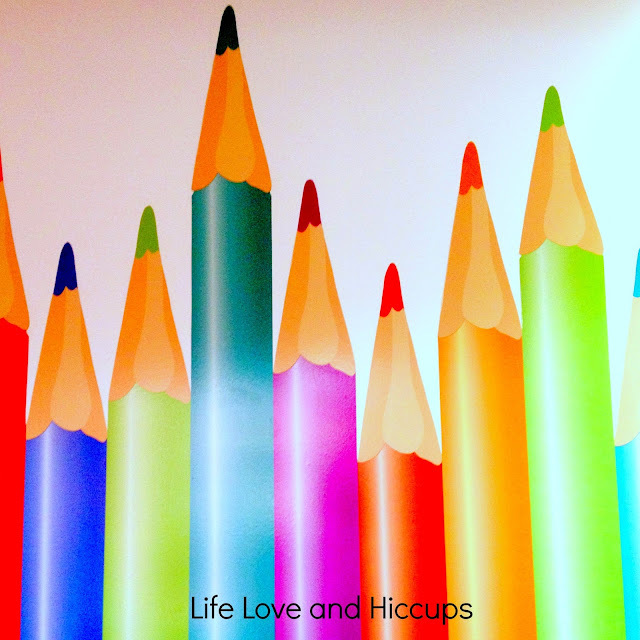 | Life Love and Hiccups: Navigating The Schoolyard - As a Parent! The school yard can be a tough place to navigate, especially for those who are shy or naturally introverted. So many new people to meet, names to remember and of course the most important bit - fitting in. By the way - I'm talking about us Mums and Dads here. The kids are starting to settle into the routine at school, and if things are going well you might find they need you a little less when you first walk into school. At pick up time, they may no longer run straight to you preferring instead to linger a little longer chatting to their buddies. Standing with all the other Mums and Dads most likely. Whilst school time is about making sure your kids are happy and have a sense of belonging, the reality is we have to spend the next 13 years per child at school with these other children and their Mums and Dads so it is equally as important for us to fit in too right? No one wants to be the mum standing alone in the school yard feeling like the odd one out - there is only so much pretending to be on your phone one can do. Even if it is your second, third, fourth etc etc child starting school, you can't get around the fact that when your child starts school, there is a whole new group of people to get to know and well quite frankly I think you are amazing if you don't find that in any way nerve wracking. It is so easy to feel intimidated by the groups of parents that naturally form at school and lets face it, I don't think we ever grow out of wanting to fit in. But sometimes circumstances make it hard to meet and make friends with other school mums. As I mentioned before you might be really shy (like me), maybe you work during the day (again like me) and only get to school every now and then, or perhaps you find yourself in a situation where it seems like everybody already seems to know everyone and have formed their own little groups of which you don't belong. What ever the case may be, I thought I would share some ideas and suggestions that might be useful if you are trying to find your feet and make friends with the parents of other kids at your school. 1. Look for someone else who is standing on their own. Push yourself out of your comfort zone and just go up and say hi. It just may be that the Mum or Dad you approach is also feeling very shy and is so grateful for you making the effort with them. 2. Organise some play dates. This is particularly good if you are uncomfortable in a group environment or you have to work during school hours. Pick one or two school mates and arrange a catch up after school or on the weekend. It has the double benefit of your kids getting to strengthen new friendships and you can have a cuppa with the parent and get to know them too. I have made some gorgeous friends this way. Just bite the bullet, be brave and write a note or pick up the phone. You wont be sorry. 3. Organise a sports team with the kids from your child class. This is particularly great if you are a working Mum or Dad as often the sports are played on weekends or a time when you can attend. Nothing like bonding together on the sidelines whilst you cheer your kids on to cement friendships. 4. If you have a bit of time during the day, why not organise a coffee date after school drop off or before school pick up for the Mums and Dads in your child's class. Do an invitation up and ask the teacher to put a note in the kids bags to take home. You will be surprised at just how many parents jump on the opportunity to meet other parents. If you work during the day, you could organise a Mum's or Dad's dinner night instead. 5. If you are sporty or into exercise, why not organise a walking group or Gym group. Again a note sent home with the kids will let other parents know about it. 6. Time permitting get involved in the school in anyway you can. Canteen duty, library duty, fundraisers etc in my experience are all fabulous ways to meet other parents. 7. Smile! Nothing like a friendly face to make others feel comfortable and to make you appear warm and approachable. 1. Please do not look over your shoulder for someone better to talk to in the playground. There is nothing worse or more infuriating than being made to feel like you are just someone to pass time until someone better comes along. Give the person your full focus or if you are on the receiving end of the over the shoulder look, make a point of looking over your shoulder to see what they are looking at. It will subtly put them in their place. 2. Don't be intimidated by groups of Mums or Dads you see standing together. Whilst it is very easily to just assume that it is a little clique, more often than not it is just a group of parents that have naturally gravitated together and are passing time chatting. Just go on up and say hi to one of them, hopefully they will introduce you to the others or you can just bite the bullet and introduce yourself. 3. Don't judge a book by its cover. I have made the mistake in the past of thinking someone is snobby and dismissive, when in actual fact they are just very uncomfortable in the school environment. You may be pleasantly surprised if you take the time to get to know them and find out you have heaps in common. So there you have have it, a few friendly suggestions from one Mum to another. I am no expert on this topic, but I am a mum trying to find her own feet in the playground. Just remember, we are all in this together and taking yourself out of your comfort zone for just a few moments could result in a friendships that last a life time. Remember 20 seconds of insane courage and I promise Great things will happen! How are you going with the getting to know other parents? Have you got any tips for us?